A huge thank you to Caversham Bowling Club for their donation of over £600! Eva's Friends has been selected as one of two charities the Bowling Club will be fundraising for over the next two years. Thank you for all your hard work! CONGRATULATIONS to Mira who ran the Forest of Dean Half Marathon and raised over £400! Thank you for being one of Eva's Friends. Eva's Friends starts working in collaboration with the Rett Syndrome Research Trust to fund an exciting gene therapy research project at The University of Edinburgh led by Dr. Stuart Cobb. Click here to read more. Thank you to Marigold who held a vintage house sale and donated all the proceeds to Eva's Friends. She raised over £600! Thank you for being one of Eva's Friends! Thank you to Ruby who held a bake sale at her school and raised over £100! Ruby heard about Eva's Friends through a friend and got in touch to say she wanted to raise some money for us. A huge thank you Ruby for being one of Eva's Friends! 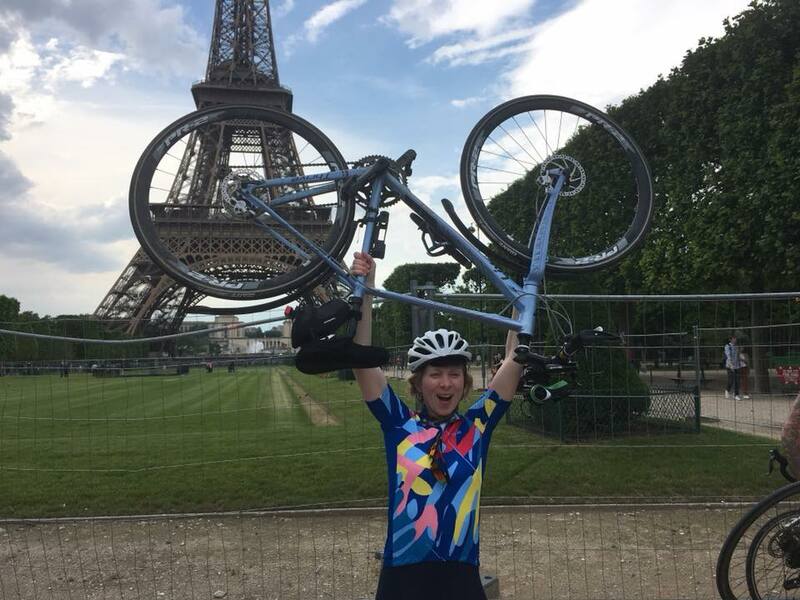 CONGRATULATIONS to Lorna who cycled from London to Paris in four days and raised nearly £1400! Thank you for being one of Eva's Friends! CONGRATULATIONS to Paul who ran the Hackney Half Marathon and raised over £900! Thank you for being one of Eva's Friends! Eva's Friends Supper Club was so successful people didn't want to wait a whole year before the next one so we thought, why not have pop-up supper clubs that people can host anytime, anywhere? On Saturday 5th May the first Eva's Friends Pop-Up Supper Club was hosted and raised a staggering £2600! Thank you to the hosts and everyone who donated so generously. If you would like to host a pop-up supper club and help us raise money to fund research into rare neurological conditions in children then please get in touch and we will send you a pack with everything you need to know. 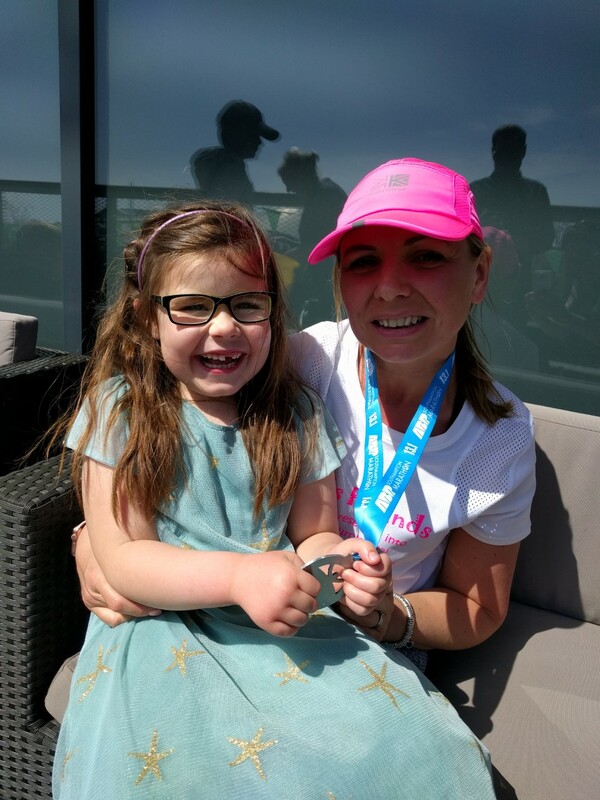 CONGRATULATIONS to Danni who ran the Southampton Half Marathon on Sunday 22nd April and raised over £700 in aid of Eva's Friends. Thank you for being one of Eva's Friends. Thank you to Becky of Kite's Cupcakery who raised £40 by selling cakes at work. Thank you for being one of Eva's Friends. The first Eva's Friends Supper Club was a huge success! Supper clubs were hosted across the country and abroad raising over £6500! Check out our Supper Clubs page for more details. A huge THANK YOU to PRA Health Sciences for their donation of £3450 which they raised at their Christmas raffle. Amazing! Thank you for being one of Eva's Friends! 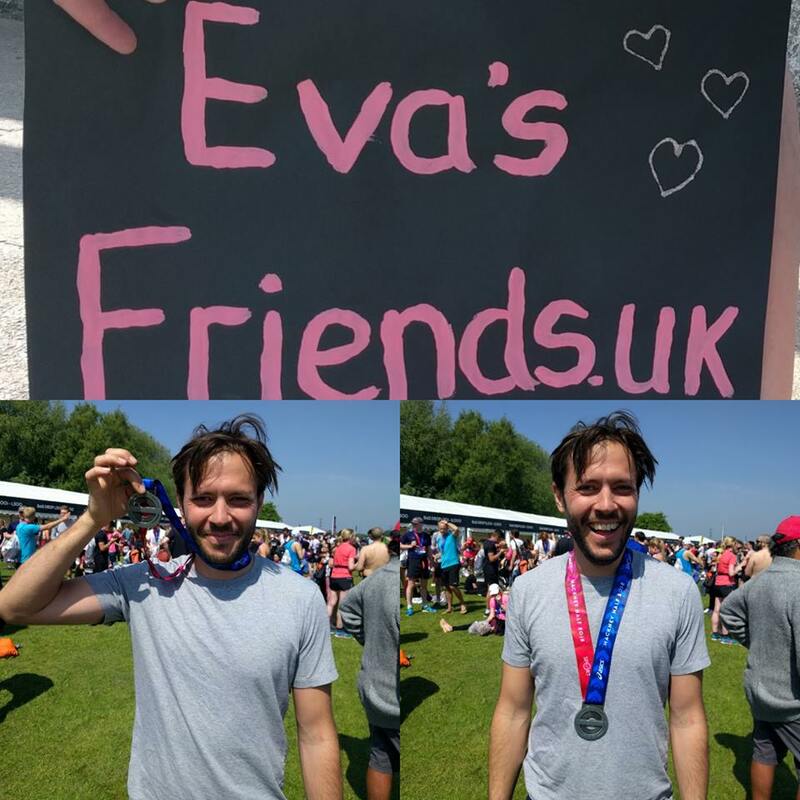 We are pleased to announce that Eva's Friends is now a registered charity in England and Wales. Our charity number is 1176031.